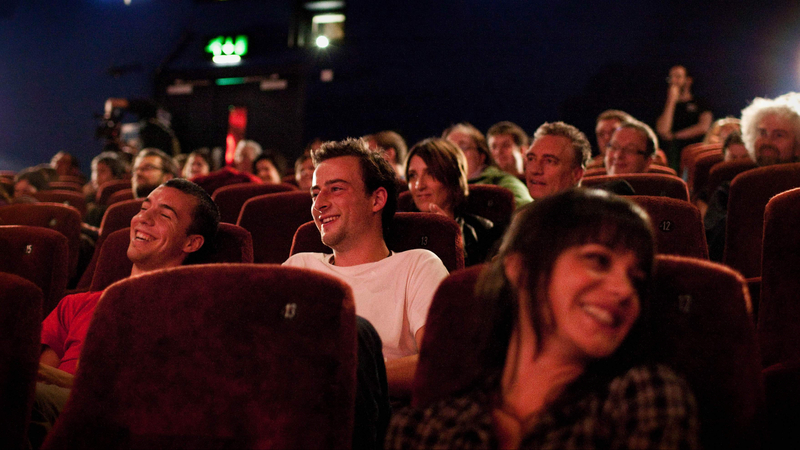 The Cambridge Film Festival is an annual event celebrating the best of British and international cinema. It is organised by the Cambridge Film Trust and takes place during the autumn. The three major prizes of the festival are the Golden Punt (given to the Best Feature), the Silver Punt (awarded to the Best Documentary), and the Crystal Punt (for the Best Short Film). All the awards are named after the legendary vessels that float along the River Cam. 2017’s Cambridge Film Festival was held from 19-26 October, and this year, it’s scheduled to run from 25 October to 1 November. Let’s take a closer look at the event, the stars of the 2017 festival, and what’s coming up this year. There were 48 films included as part of the Main Features and Documentaries list. British films, such as Beast, Ratcatcher, Wilderness, and The Ballad of Shirley Collins, were showcased. There were also highlights from world cinema, including The Housemaid (Vietnam), Vaya (South Africa), Conditional Release (Iran), Mountains May Depart (China), and Félicité (Senegal). The global scope of the event was impressive, introducing audiences to perspectives that are rarely seen outside of independent film festivals. Several focus events took place at the 37th edition, including special screenings of short films by female filmmakers (Reel Women) and LGBTQ+ artists (Queers in Shorts). The 2017 festival also placed an emphasis on the importance of local talent, with a selection of short films and music videos produced in the Cambridge area. Audiences vote for the three big winners. The 2017 Golden Punt was awarded to The Net, a film about a North Korean fisherman who encounters a mechanical failure at sea and ends up drifting into South Korea. After intense questioning, he is returned to North Korea, but his experience in the South forces him to re-evaluate the veracity of the ‘truths’ he has known all his life. The Silver Punt went to Operation Syncopation, a fascinating documentary about the effectiveness of music therapy in youngsters with autism. The Crystal Punt was awarded to Meal Time, an animated short by Tiffany Wei that centres on the simple delight of spending time with loved ones over a great meal. The 2018 festival will begin on 25 October, and there’s plenty to look forward to. Oscar contenders Beautiful Boy, Colette, and The Old Man and the Gun will all be shown during the event, as well as Terry Gilliam’s labour of love, The Man Who Killed Don Quixote, which has been in the works for over 30 years. Attendees will also have the opportunity to enjoy the best of this year’s world cinema offerings from the independent international festival stage, including South Korean thriller Burning and Japanese drama Shoplifters. The organisers have also decided to showcase a selection from Austria cinema, as well as international documentaries. There will also be a special screening of a true sci-fi classic, ET: The Extra Terrestrial. The full line-up will be announced on 6 October. Tickets will be released on the same day.